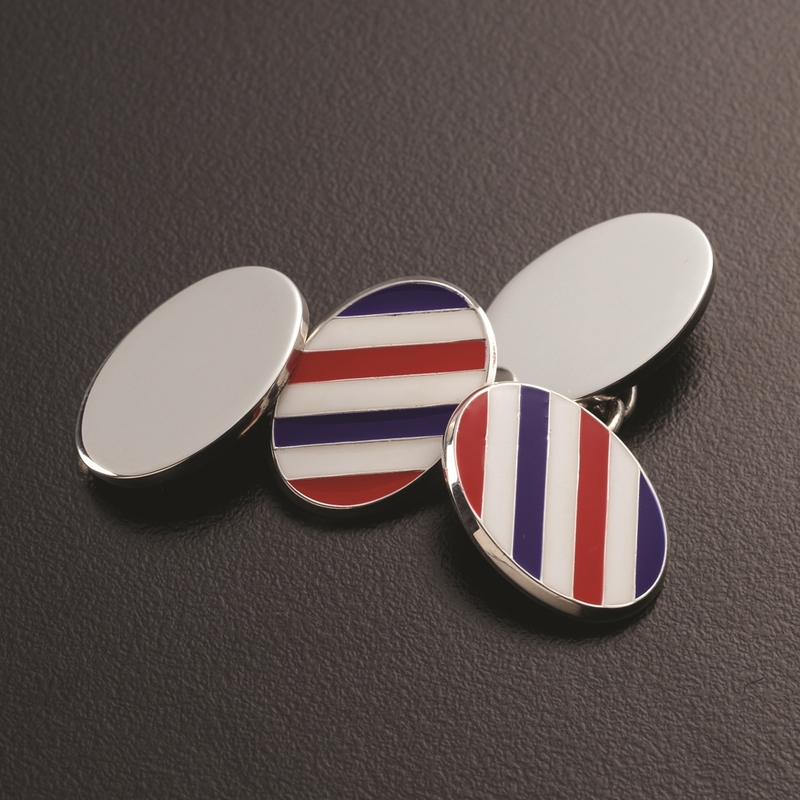 Commissioned by Harrow School these oval sterling silver cufflinks are bespoke to house West Acre and feature the house colours of red, white and blue in inlayed enamel. Each cufflink is crafted by our master silversmith and features a classic chainlink and oval face. Every cufflink is struck on the reverse with the Harrow School lion and English hallmark. This item can be personalised with initials, years or a short message and are ideal for school leavers or as a gift for confirmation or birthdays. Proceeds of each sale are donated back to the school. 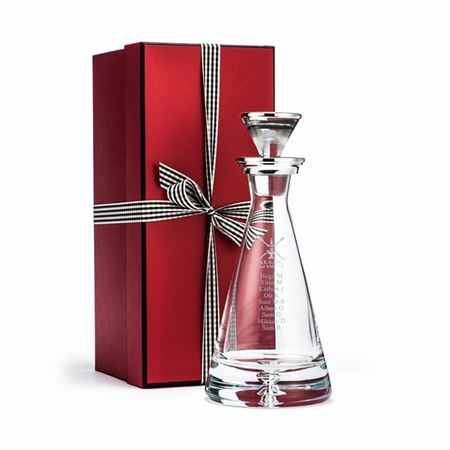 Crystal Pyramid Decanter with sterling silver collar and stopper top. Presented to the coach of the St Edwards School rowing team. Etched with boat club emblem and the names of the crew. Stands at 32cms tall. 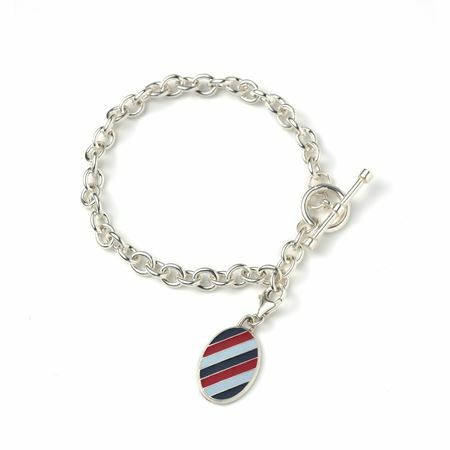 This striking Sterling Silver Charm Bracelet has been commissioned by Cheam and features hand inlayed enamel in the school colours. The bracelet is handmade from the finest sterling silver and features a T-bar and toggle fastening. 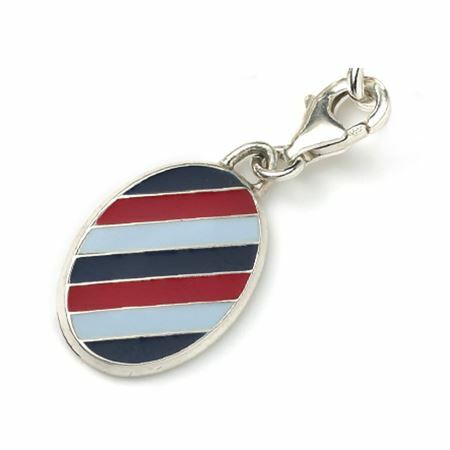 The enamelled charm is attached via an albert swivel and is stuck on the reverse with English Hallmarks. Inkerman's best selling leather Travel Cufflink & Jewellery Box. Perfect to sort your cufflinks, rings and earrings. Available with beige suede lining. 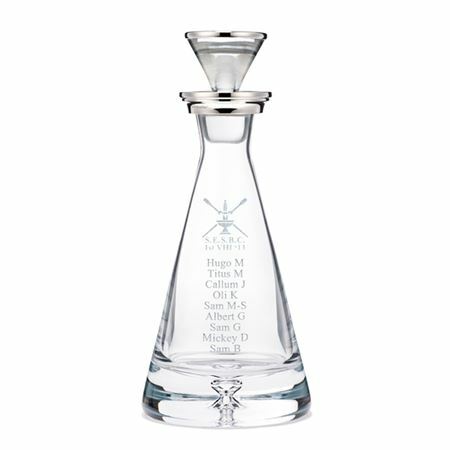 The box can be embossed with initials, company logo or school crest to create something truly unique. W.7cm x L.7cm with magnetic closure.